Mohammed has always been a strong man. A caring father and a hard worker, who loves to cook for his family. When Syria descended into war, he and his family decided that it was not safe to remain any longer. Mohammed went ahead and journeyed north, across the Mediterranean in a crowded fishing boat, and eventually to Denmark and the small island of Samsø. Here he was placed in a small house, and proceeded to make a life for himself, and make ready for when he would be joined by his family. 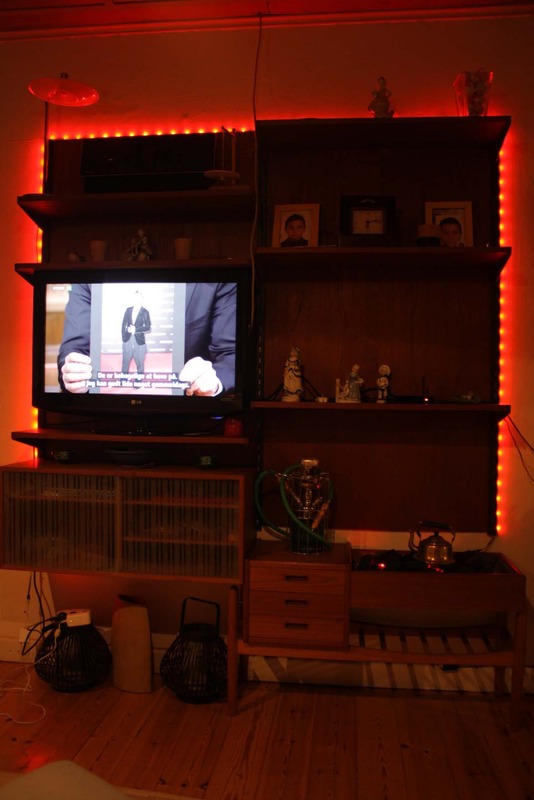 Now, how do you create homeliness in someone else’s house, surrounded by second-hand furniture of a style to which you are unaccustomed? When your family is not yet with you, and you are so very far from home? Mohammed’s answer was kitchenware. Polished brass kitchenware and red LED lights. 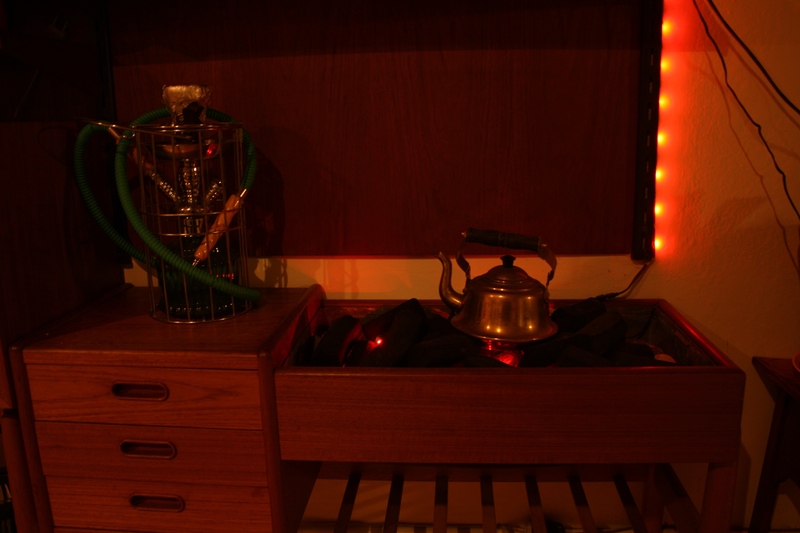 In essence, Mohammed brought Syria to Samsø by setting up old Arab kitchenware in his living room, arranging red LED lights beneath the teapot to look like glowing coals. Reminding him of a time before; a time when he would cook for his family every night, when they were all safe and together. 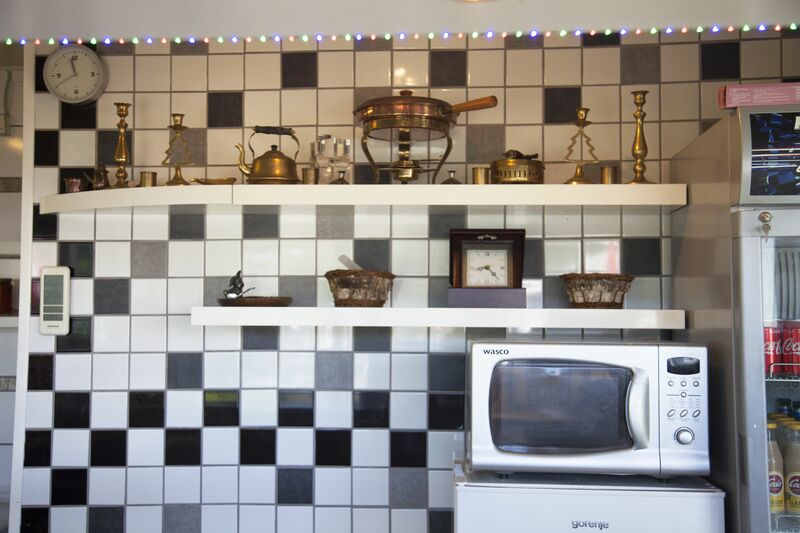 Later, when he opened a hot dog stand, in the hopes of establishing himself so he could get his family to Denmark, the kitchenware took pride of place on the back wall, bringing personality, and just a little bit of Syria, to a Danish hot dog stand. You can meet Mohammed in the exhibition ‘After the Escape – Syrian lives on Samsø’ (Efter Flugten – Syriske hverdage på Samsø’) at Moesgaard Museum, from 29 September until 30 December.